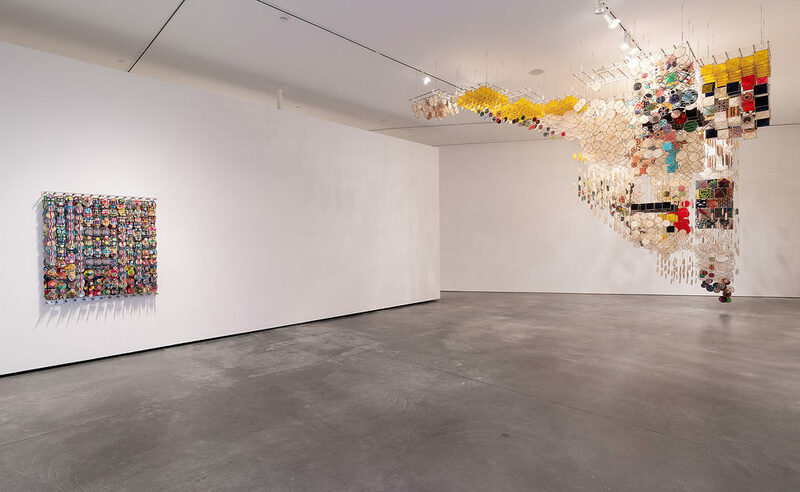 Jacob Hashimoto´s solo exhibition The Dark Isn´t The Thing to Worry About can be seen at SITElab 11 in Santa Fe, New Mexico from October 5, 2018 – March 24, 2019. The Colorado-born, New York-based artist's sculptures, paintings, and immersive installations often feature miniature modular "kites": hand-painted rice paper mounted on bamboo frames, each a circle, cube, or hexagon. These forms are strung together with nearly imperceptible thread to form mercurial, geometric landscapes; sometimes taking the shape of wall-mounted tapestries, and other times expanding out into enveloping architectures. MAKASIINI CONTEMPORARY represents Jacob Hashimoto in Finland. Forthcoming solo exhibition at MAKASIINI CONTEMPORARY April 12 – June 20, 2019.